Pit Stop in the center of Ancona: a pleasant stop along the way. 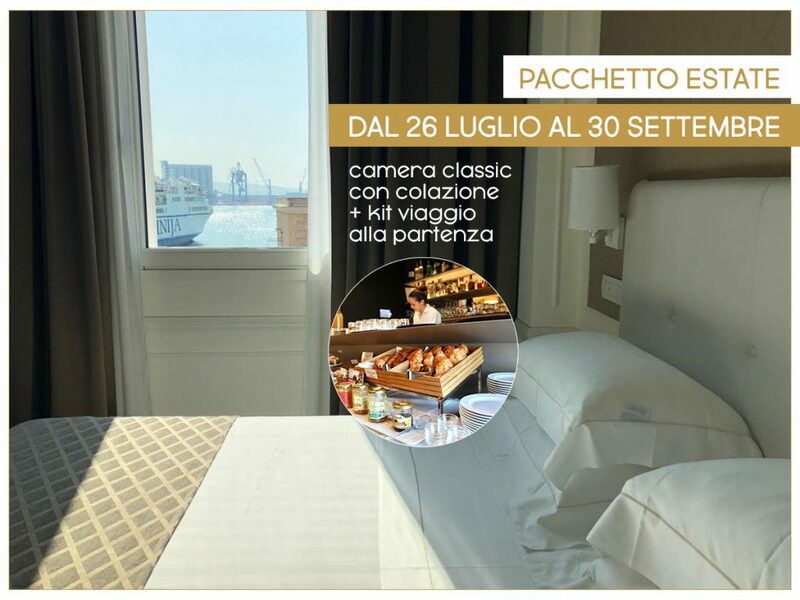 With the Port in front, which in summer becomes the point of arrival and departure for those who choose to embark on destinations such as Croatia and Greece, the Grand Hotel Palace in Ancona becomes a pleasant stop even for those traveling from north to south the kilometers that lead on the way of the holidays. A break that allows families and those traveling in pairs, by car or on two wheels, to recharge the batteries to continue towards the final destination. The central position of our hotel allows you to experience the atmosphere and the events of the summer in the city and to easily reach different places of historical, artistic and cultural interest. From July 26th to September 2nd, choose a Classic Room for € 130 a night for two, including breakfast and travel kit. And for those wishing to book an aperitif or a tasting menu Made in Marche. La Mia Generazione Festival from September 13th to 16th at the Mole Vanvitelliana. Sebastião Salgado. Genesi, from September 29th to 6th January at the Mole Vanvitelliana. The Wellness you need, in a Suite!